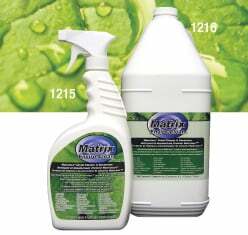 Use this fast-acting cleaner/deodorizer for all washroom surfaces. Its biodegradable formula digests organic waste and eliminates malodours on contact. With its residual action, no wiping or scrubbing is needed. Enviro-Clean assists in prolonging urinal trap life and preventing drain line encrustations.